Suitable for those who only require the cargo vans. We provide long term and short term leasing contracts. Movers will be there to load your cargo and transport them safely to the desired destination in our cargo van. This service is specifically for people who need quick one way transport. We can deliver anything that fits in a cargo van. 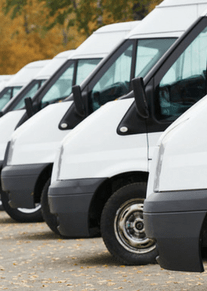 Cargo van rentals would definitely be a good solution to your transportation worries if you need to make deliveries of big items or planning to relocate your home of office. When there is so much of stuff to be moved, it makes more sense to hire these cargo vans because they are more cost efficient as compared to car rentals. Why Use A Cargo Van? Some of the household goods can be too heavy and too bulky to fit into your car. Squeezing in the bulky equipment may also damage your car. Using the van in this case would definitely prevent unnecessary damage to your car interior. In addition, these vans can also be hired for setting up booths for promotions and company events. When you have to move big tables, chairs and other stuff, the cargo vans will be able to transport these equipment more safely as it has the required features such as cargo barriers to properly secure the cargo. This would prevent any injury to the passenger or damage to the cargo in the event of a sudden stop or collision. With the larger capacity of the vans, you would definitely need lesser trips to transport your cargo. This saves time and is also more cost efficient as lesser fuel is wasted. Using the vans would also protect your valuables from getting damaged due to rain or bad weather as compared to if you use an open top lorry. Most of the van rentals include air conditioning, power locks, power windows, front wheel drive, power brakes, power steering, safety locks on rear doors, air bags, automatic transmission, cruise control etc. All these features will make sure that the drive is smooth and without much jerks. These features are put in place so that even if the van is going on a high speed, it will not damage the cargo in it. If you feel that a cargo van cannot fit all your items, we also have a range of vehicles like the moving pickup trucks. Speak to our staff to find out what is the best vehicle to fit your needs! Being one of the largest rental companies in Singapore, we are able to provide the vehicles at very cost low rates. Because we do have a variety of rental schemes for our vehicles, it is often better if you drop us a call or leave us an email with information about how you plan to use the vehicle. From there, our excellent customer service staff would be able to advice you on that type of vehicle that you should use, and also the preferred rental scheme so that you can get more bang for your buck. Our drivers and staff are well-trained, friendly and experienced. That is why we may not be the cheapest in town, but we definitely try our best to provide top quality service to each and every customer. Book a cargo van rental service today if you require our logistic support. Let us take care of all the logistic support so that you can focus on more important things.